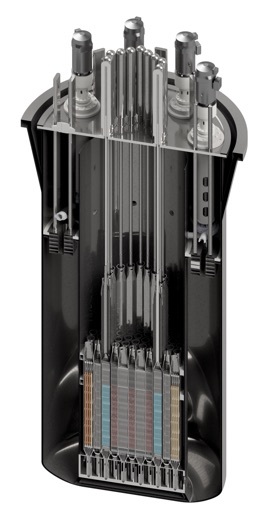 LeadCold Reactors, a Swedish-Canadian lead-cooled small nuclear reactor technology company, received $18m investment from Essel Group Middle East. The company intends to use the funds to enter the initial phase of the Canadian pre- licencing review process and will bolster its R&D capabilities necessary to obtain a license to build commercial SEALER units in the country. EGME’s investment forms part of its strategy of building out its presence in the energy resources market globally. According to a note, LeadCold’s Swedish Advanced Lead Reactor, or SEALER design uses innovative corrosion resistant technology, is safe, and can generate low-carbon nuclear power production of 3-10 MW of electricity over a 10-30 year period, with no refuelling needs. Led by Janne Wallenius, CEO and founder, LeadCold intends to enter Phase 1 of the pre-licensing review this year, with the eventual license for construction to be granted by the end of 2021. The units are intended for commercial off-grid use, for example in Arctic communities and mining operations, where at present carbon-emitting and costly diesel generators are the predominantly used base-load generation technology. The company is looking to launch its advanced technology across Canada’s Nunavut region, where it has identified an over-reliance on diesel, and potentially across the Northwest Territories in the future, with its first unit scheduled to be operational by around 2025.